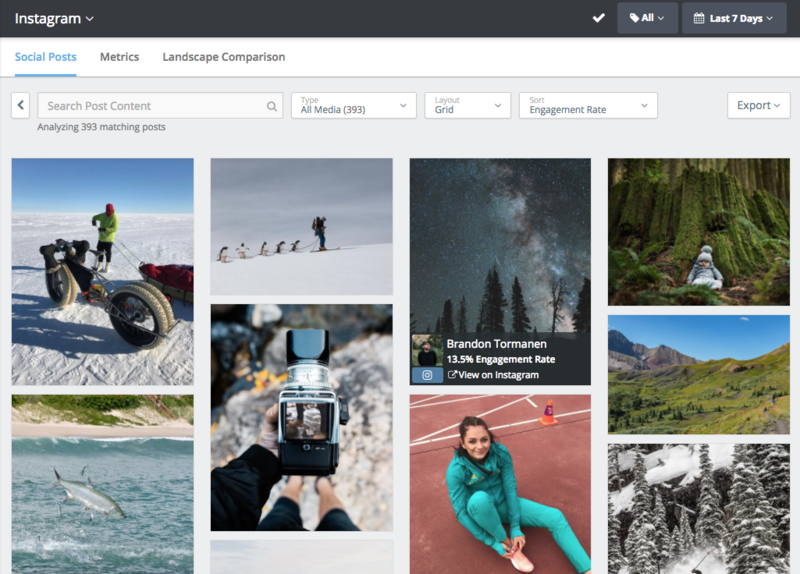 Are you looking to get a more visually focused view of your social posts? Look no further! In Social Posts, you can access summary metrics for a set of social posts in your landscape. If you want to get into the details, you can even access each individual post, filter them by type and keyword, and sort them by a variety of metrics. The default presentation of the post-level metrics is a table, sorted by one of the relevant engagement metrics. 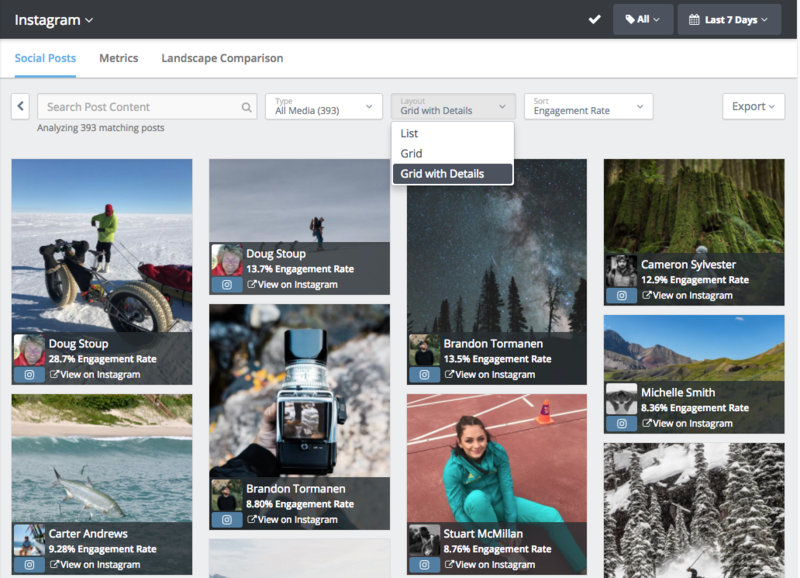 To get you a more visually-focused view, use the post grid viewer. 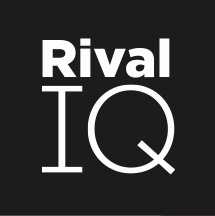 To jump right to this view in Rival IQ, click here. 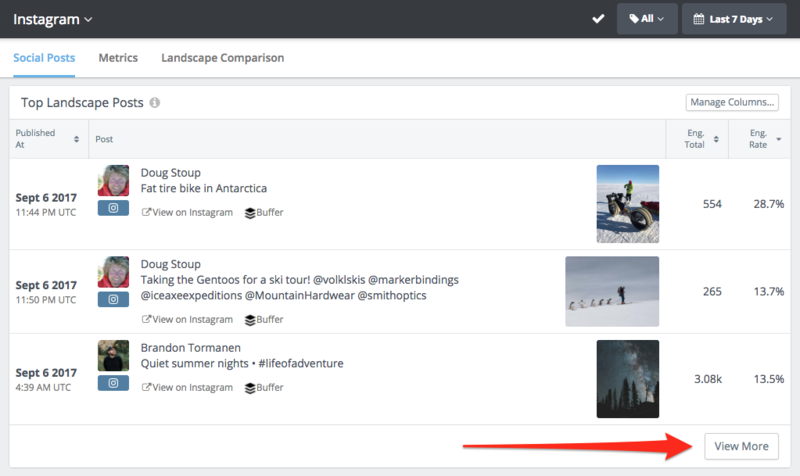 To view your post grid, first go to the full list of social posts by choosing "View More" from the Top Landscape Posts panel in Social Posts. 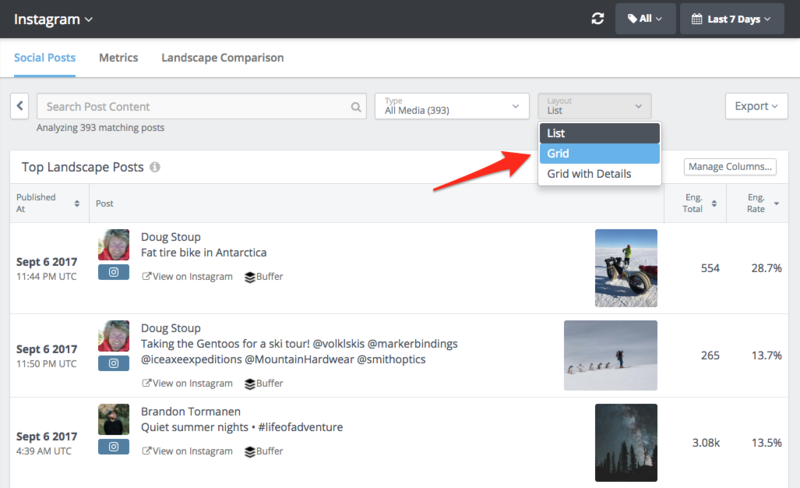 Once you're into the full list of social posts, choose Grid from the Layout selector. The grid layout mode puts the images from your landscape's social posts into a grid view (surprise! ), with the image order being determined by the sort selected in the Sort dropdown. Hover over any image to get some basic info about the post, and click the image for the complete details. To view the grid with the additional post information laid out permanently, choose the Grid with Details option from the Layout dropdown.